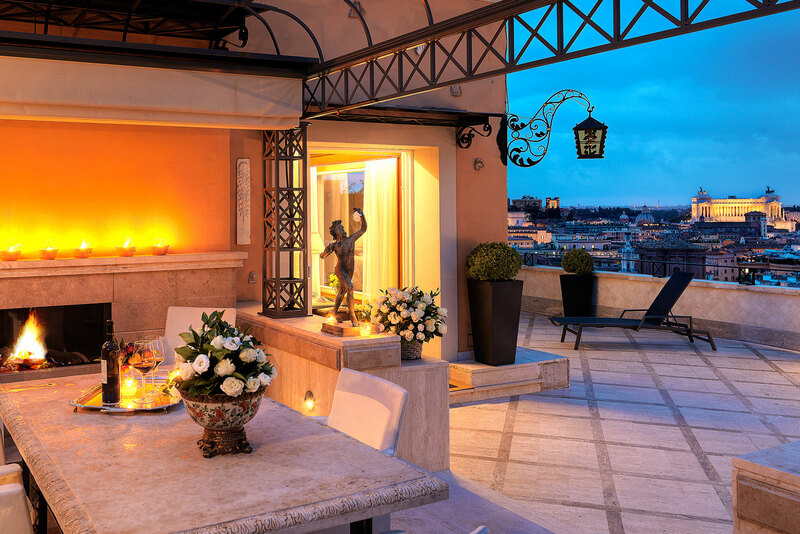 Perched at the top of the Spanish Steps, the Hassler is all about classic, old-school Italian style in the lobby – heavily upholstered furnishings, lavish use of silks, Cardinal-red velvet, gilding and enough marble to make Michelangelo jealous. However, the suites tend to be more contemporary. 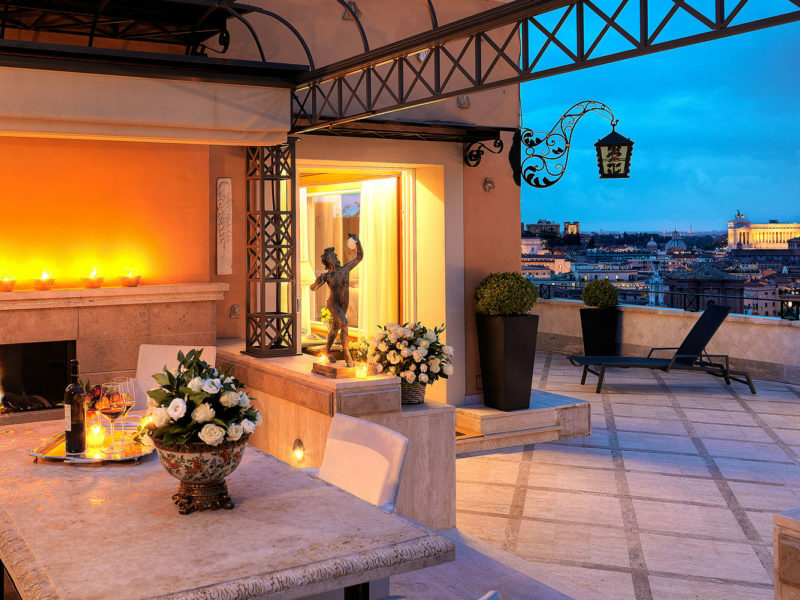 The Michelin-starred Imàgo restaurant offers amazing views across Rome’s dome-dotted skyline. The US Air Force used the hotel as its US headquarters during World War II.